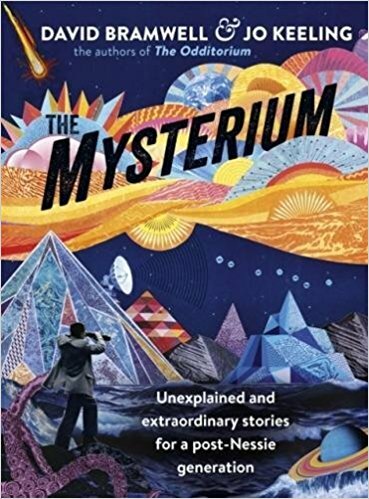 The Mysterium by Jo Keeling and David Bramwell ("Unexplained and extraordinary stories for a post-Nessie generation") has just been released in the UK and comes out in the U.S. next May. Details from the publisher are irritatingly vague, but Ian "Cat" Vincent's latest email newsletter says contributors include himself and John Higgs, so it sounds good. You can read about the Oct. 13 launch party. Keeling and Bramwell also did The Odditorium, which I belatedly notice is available in the States now and which I'll have to pick up.